From time to time, the Singularity Hub editorial team unearths a gem from the archives and wants to share it all over again. It’s usually a piece that was popular back then and we think is still relevant now. This is one of those articles. It was originally published October 7, 2015. We hope you enjoy it! But nowhere is automation as immediately evident as it is in manufacturing. It’s been going on for decades, most obviously in automotive assembly and heavy machinery. Increasingly, however, more advanced robot factory workers are branching out. You may remember a few years ago notorious manufacturer of iPhones, Foxconn, made headlines by declaring they’d replace factory workers with a million robots. Well, they got the timing wrong. They did develop said bots (not a million), but they weren’t ready to take over for humans when it came to the precise work of assembling circuit boards and other electronics. That said, the basic message was right, even if the timing wasn’t. As the saying goes, robots are good for tasks that are dirty, dull, or dangerous—and soon, we’ll add delicate to the list. Consider, for example, MIT’s new sensored robotic hand made of silicone. The hand can guess an object’s size and shape and ID it from a list, and it can handle items as diverse as an egg or a compact disc. These skills will be very useful. A good bit (though not all) of the remaining work yet to be automated in manufacturing is the stuff requiring a delicate human touch. A recent BCG Perspectives report on automation pegged four industries—already accounting for the lion’s share of global robot use—to lead the charge in coming years. These included machinery and transportation equipment, but they also included computers and electronic products and electrical equipment, appliances, and components. In other words, those Foxconn iPhones will be made by robots. There are two particularly strong drivers behind adoption: capability and cost competitiveness. Both are tied to quick advances in computing and AI, therefore we’re seeing gains in capability matched by falling costs of factory robots. Across China, manufacturers are following in Foxconn’s footsteps. At Shenzen Rapoo Technology Co. humans work next to 80 robotic arms assembling computer mice and keyboards. The bots have enabled the company to cut its workforce from over 3,000 in 2010 to less than 1,000 today. China has accounted for the most robot sales worldwide for two years running. And BCG expects 50% of robotics shipments will go to China and the US alone in the next decade. While capability accounts for what can be automated, however, it’s how much robots cost compared to human labor that drives when they’ll be adopted. Electronics manufacturers are increasingly employing robots because they’re more capable and higher-than-average wages make them relatively more attractive. And here’s the interesting bit: once the cost of robots falls below a certain point—assuming they can produce as much or more than human workers—the labor cost advantage that has driven offshoring in recent decades will all but disappear. While future iPhones may be robot-made, they likely won’t all be made in China. According to BCG, a little over a decade ago, Chinese labor costs were roughly 1/20 of those in the US—but today, that gap has nearly closed. Meanwhile, in the four industries above, robotic systems in the US currently average $10 to $20 an hour to operate—which is already below the cost of equivalent American workers. BCG expects those costs to fall even further, and the robots to gain more abilities. These trends apply elsewhere too. South Korea, for example, is roboticizing faster than anyone, and 40% of manufacturing jobs there may be automated by 2025. But according to BCG, the revolution won’t be equally revolutionary everywhere at once. Some industries—like textiles—are still relatively more difficult to automate, and labor costs are lower than in other industries. Automation will then be slower. Meanwhile, regulations favoring humans over robots may prevent quick adoption in certain countries. BCG notes that of the top 25 manufacturing export economies, many of the slowest to adopt robots are in Europe, despite having some of the highest wages in the world and aging workforces. Among other factors, labor laws in these countries may make it difficult to replace human workers with robots. 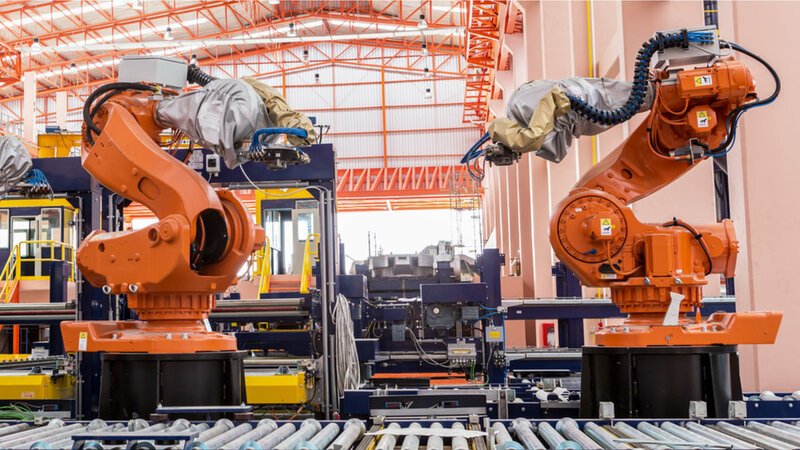 “We believe that as wage gaps between low-cost and high-cost economies continue to narrow, robot adoption could emerge as an important new factor that will contribute to redrawing the competitive balance among economies in global manufacturing. The future’s manufacturing powerhouses, then, will be those countries in which the robot revolution takes root earliest and moves swiftest.